Now that you’ve taken more Halloween pics than you can believe, it’s time to choose the best and enter your kids’ costumes in Inhabitots’ Green Halloween™ Costume Contest! Now’s the time to cast a spell on our judges with your cleverest kids’ costume creations! We can’t wait to see your crafty, inventive DIY, homemade, eco Halloween costumes that your little ghouls and goblins wore trick or treating! Upload the photos of your costume contenders to our contest site here. This year we’re awarding over $200 in prizes to the lucky winners! Read on to learn more and to see some incredibly creative winning costumes of past years! DEADLINE TO ENTER HAS PASSED. WE’LL BE ANNOUNCING FINALISTS, AND THEN WINNERS SOON! 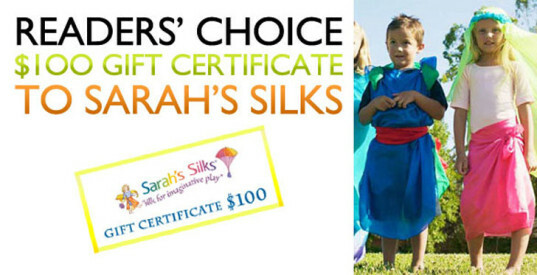 This year we’re thrilled to announce that the winner of the Readers’ Choice award will receive a $100 gift certificate to spend at Sarah’s Silks! We love these enchanting Playsilks, dress-ups, toys and more that inspire open-ended imaginative play and hours of unplugged fun! Read our review of Sarah’s Silks for more information and also see 6 versatile Halloween costumes you can make for your kids using Sarah’s Silks! 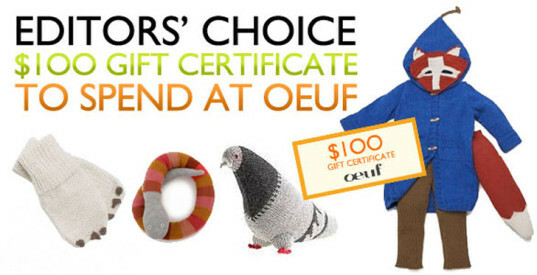 The winner of the Editors’ Choice Award will win a $100 gift certificate to spend at Oeuf! You’ll be spoiled for choice choosing between Oeuf’s delightful, eco-friendly selection of handknit clothing, layette, toys, accessories and bedding. 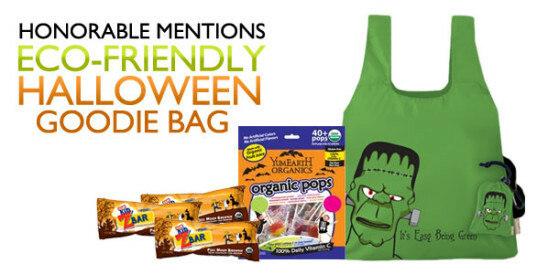 Runners-Up will be treated to an honorable mention gift bag — a Halloween themed ChicoBag brimming with YumEarth organic lollipops and CLIF Kid Zbar Monster Chocolate Mint Bars! 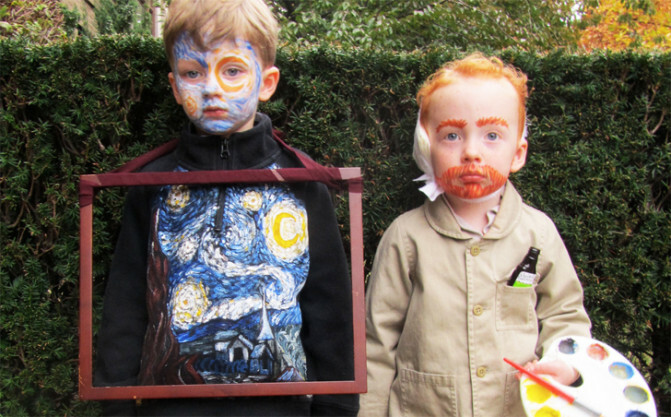 This super-creative pairing of van Gogh with his Starry Night took home Editors’ Choice award last year. A total masterpiece! In 2013, Baby grandma hobbled straight into everyone’s hearts, earning herself a much-deserved honorable mention prize. 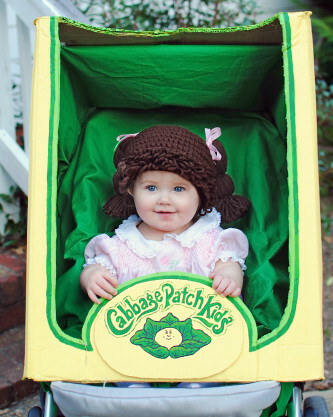 This little doll in the Cabbage Patch Kid costume took home the Readers’ Choice prize last year, earning the most votes for favorite costume! 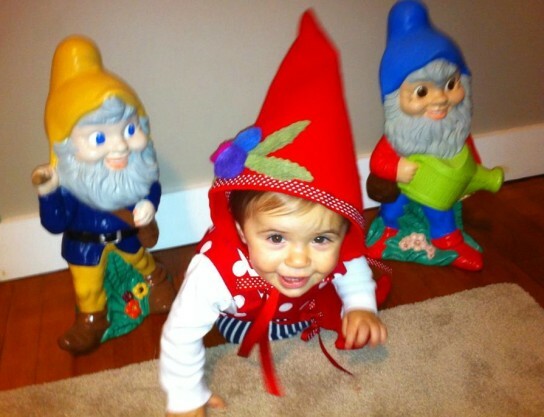 This adorable garden gnome also took home an honorable mention prize! 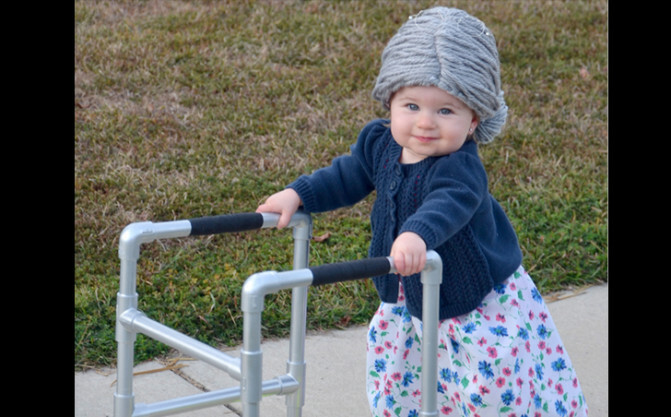 See 10 Amazing Homemade Halloween Costumes for Kids for more inspiration! 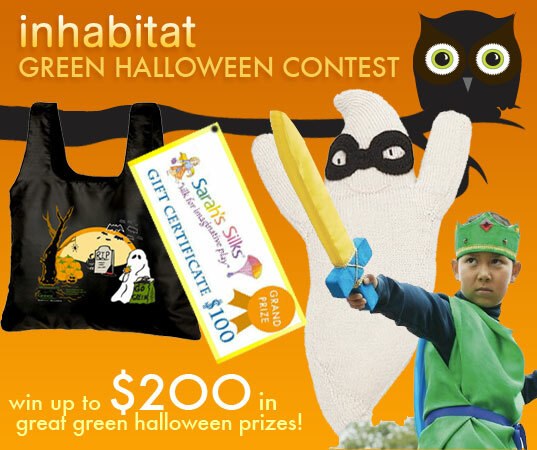 Now that you've taken more Halloween pics than you can believe, it's time to choose the best and enter your kids' costumes in Inhabitots' Green Halloween� Costume Contest! Now's the time to cast a spell on our judges with your cleverest kids' costume creations! We can't wait to see your crafty, inventive DIY, homemade, eco Halloween costumes that your little ghouls and goblins wore trick or treating! Upload the photos of your costume contenders to our contest site here. This year we're awarding over $200 in prizes to the lucky winners! Read on to learn more and to see some incredibly creative winning costumes of past years!